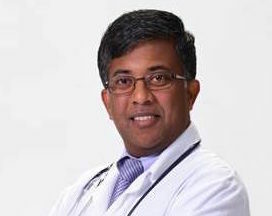 Dr. Subhas is double Board certified in colorectal surgery and general surgery. He did his medical schooling in India and had surgical training in India and United Kingdom before coming to USA. Here he did a 7 year surgical residency in St John Providence Hospital in Detroit followed by colorectal surgery fellowship in Rutgers University, Robert Wood Johnson Hospital in New Jersey. With so many advances in medical field he brings in the latest management for colorectal conditions. With an examination and procedure room in the office, he will be able to take care of most of the anorectal conditions in the office itself. For patients with colon and rectal cancer, Dr. Subhas will perform minimally invasive surgery following cancer surgery principles and will co-ordinate chemotherapy and radiation treatment as needed with the oncologist. Using advances in surgery he will to avoid a permanent ostomy for low rectal cancers.